Learning English has been a great asset to me over the years. It is my goal to use my experience with English to help you develop yourself both personally and professionally and maybe have some fun while you are at it! I look forward to seeing you and helping you improve your English. 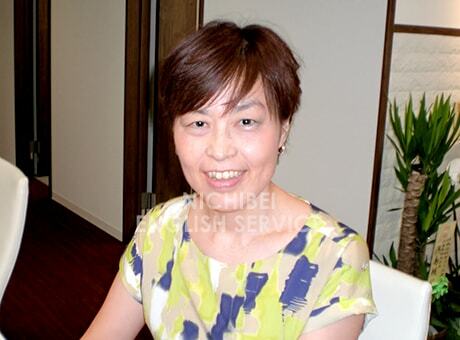 I have worked for 16 years in the international business community working with both Japanese and English speakers to aid in cross cultural communication. During my stay in the U.S. I worked for a travel agency and then moved to a U.S. based export company. In Japan my husband and I established our own trading company and worked closely with U.S. and European export companies. In addition, I have taught English for several years at one of the leading English institutions in Japan.